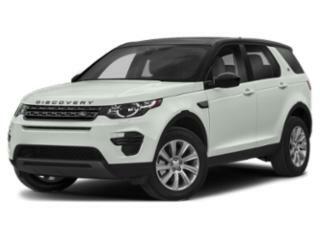 The Discovery Sport is powered by a turbocharged 237-horsepower 2.0L engine making 250 lb-feet of torque. A more powerful version of that same 2.0L engine becomes available for 2019. Tuned to produce 286 horsepower, the all-alloy engine features direct injection and variable valve timing and is mated to a 9-speed automatic transmission. This combination is available on HSE and Luxury trims. Land Rover claims the base Discovery Sport will hit 60 mph from a standstill in 7.1 seconds with a top speed of 124 mph. The more powerful version will do the same feat in 6.3 seconds on its way to a top speed of 137. The Discovery Sport is a capable on-road performer as well, thanks to an excellent suspension system that utilizes aluminum components to reduce weight. Aluminum is also used in the hood, front fenders, roof and tailgate. Three trims are offered: SE, HSE and HSE Luxury. Base SE models include 18-inch alloy wheels, halogen headlights, power adjustable heated exterior mirrors, rain-sensing wipers, partial leather seating, cruise control, 2-zone climate control, Bluetooth hands-free connectivity and audio streaming, an 8-inch color infotainment touchscreen, first- and second-row USB charging ports, a 60/40 folding second-row seat and a rear camera. HSE trims add Xenon headlights, front and rear fog lamps, a fixed panoramic roof, grained leather seating, power 10-way front seats, Homelink universal garage door opener and a powered tailgate. Finally, HSE Luxury models include 19-inch alloy wheels, Windsor leather seats, configurable mood lighting, an 11-speaker premium audio system, SiriusXM satellite and HD radio and navigation. Options on the SE include 19-inch wheels, a Black Design Package which adds a black roof and grille to the Discovery Sport. A Vision Assist Package on the HSE adds adaptive Xenon headlights, blind spot monitoring with perimeter sensor and a surround camera system. A 20-inch Black Design wheel package is also available. Optional on all Discovery Sports is a 2-passenger third-row seat.